Local retailers have slammed the government’s move to further liberalize domestic retailing saying it is a desperate move to window dress their poor performance in luring foreign direct investments by bringing in small foreign retailers and kill Filipino SMEs. Samie Lim, father of the franchising industry here and abroad and also one of the founders of the Philippine Retailers Association (PRA) minced no words as he criticized the government’s move to further reduce the $2.5 million threshold capital requirement for wholly-owned foreign retail business in the country to a measly $200,000. In an interview with reporters at the Francorp 20th anniversary celebration, Lim wondered why of all the 40 industries and other subsectors that are closed or limited to foreign investments, the government is in rush to open up retailing when it has been open since 2000. “We lack foreign direct investments. Hello bring in billions of investments or tens of millions why bring $200,000. That is for show that we have 10 more investors tag to $200,000. That’s a joke trying to window dress the scorecard of your performance,” Lim said. The amount of FDIs coming into the Philippines plunged to its lowest since President Rodrigo Duterte assumed office in July 2016, underscoring challenges to economic growth. In July 2017, the net inflow of FDIs into the country reached $307 million, according to the Bangko Sentral ng Pilipinas (BSP). This is the country’s lowest monthly level since it hit $238 million in FDIs in June 2016. 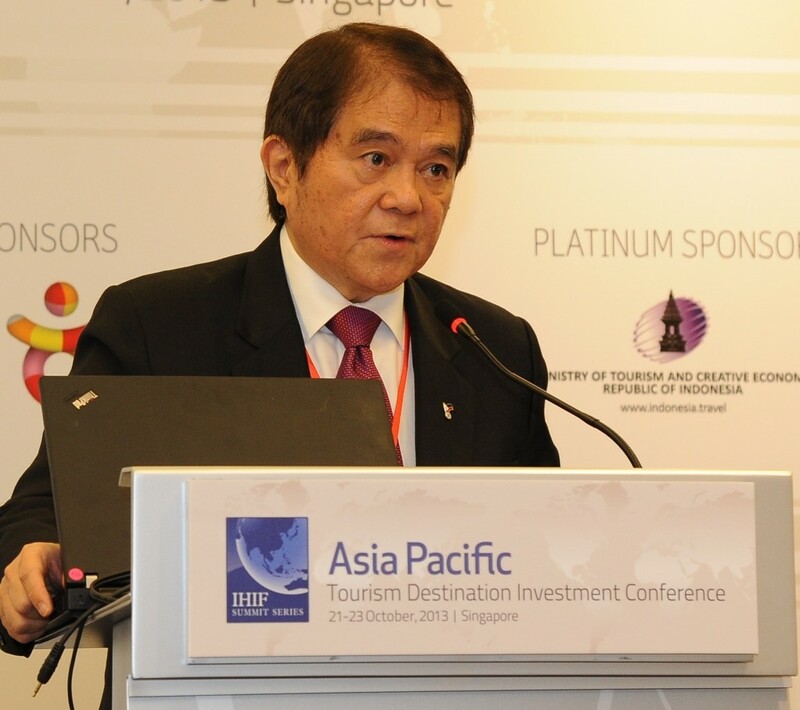 Socio-Planning Secretary Ernesto Pernia, backed by Trade and Industry Secretary Ramon M. Lopez, has made plans to further include domestic retail in the liberalization of the Foreign Investments Negative List (FINL) in an effort to attract more foreign investors into the country. Lim recalled that when the Retail Trade Liberalization Act was passed in 2000, this paved the way for the entry of foreign retailers in joint venture with the the locals, technical licensing agreements and franchising or wholly-owned. At that time, the government also made rosy promises the liberalization would bring in, especially in the inclusion of small Filipino suppliers in the foreign retailers global value chain. “They promised to Congress that these people will come and will sell 30 percent local products. I dare you to go to Uniqlo and H & M and what have you and tell me if they’re anywhere near 30 percent. They also promised that after so many years of being here they will divest x percent of their shares to local. They have not done that. All of these things, promises they come with beautiful studies, make many promises they have not been met. Why are we going to the next step when they have even kept their promises to this day,” he stressed. Aside from the local sales clerks, Lim said the only workers these foreign retailers hire are “yayas” (nannies). Lim, who promised to provide all the data to show how bad the impact will be of a more open domestic retail trade to the local economy, also lamented that government did not even consult the domestic retail industry. PRA has requested for a meeting with Pernia, but to no avail. “November they’re going to pass it and the government has this thing. They will call for a meeting last thing but nothing will change. They’ll have it on record that they’ve met with us. Before the end of November we’re going to come up with a statement we told all of you. I’ve got all the statistics very revealing statistics,” Lim vowed. He already foresees adverse impact under the government plan. “It will be a slaughtering of all SMEs because Europe is having bad business, US is bad. Japan has been in bad situation for years. Now they’re going to send their SMEs to us. Their SMEs are in effect large companies,” he added. “We bring this people to kill Filipino retailers,” he stressed. Lim explained that the $2.5 million minimum investment requirement is the last straw, the only protection left to small retailers, who cannot become bankers and manufacturers. “So this is easy for them to start, but once the small foreign retailers come in they will wipe out these people and we will become only a nation of consumers and we will no longer be able to compete,” he warned. “They think retailers are small, they don’t have lawyers, they don’t have money. So they can pick on us. They don’t want to pick on bigger people,” he added. Previous articleOnline retail grocery in South East Asia : Alibaba or Amazon?